Our Company – LA Double 7, Inc.
LA Double 7, Inc.’s office, showroom and distribution center is located in Chino, California, 15 minutes from Ontario Airport. Our North American business started in 2002, and includes a large art department and several designers. This gives us the opportunity to design many of our fashion items, especially for our many customer partners. 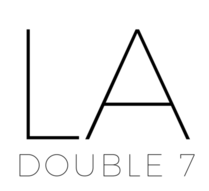 LA Double 7, Inc. is a manufacturer and wholesaler. All of our products are manufactured in our two company owned factories in Yiwu, China. Our factories have been producing the highest quality merchandise for over 20 years. LA Double 7, Inc. prides in offering a diversified product mix, for many different profitable categories. These include scarves, hand bags, belts, hats, fleece, bathing suits, tote bags, gift bags, party items, hair goods and accessories.